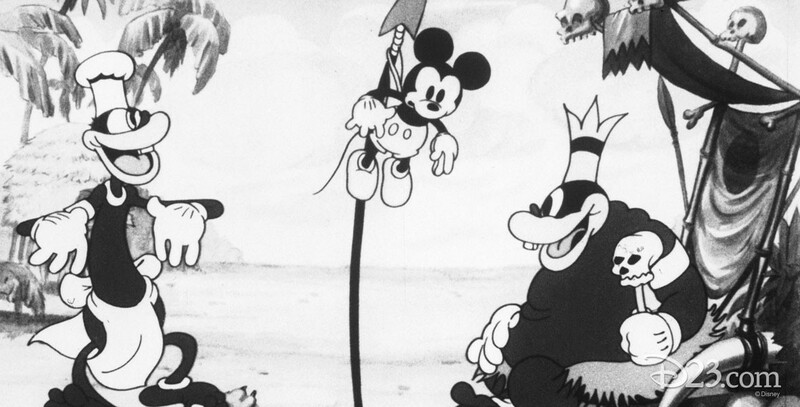 Trader Mickey (film) Mickey Mouse cartoon; released on August 20, 1932. The first cartoon directed by Dave Hand. In the midst of their African safari, Mickey and Pluto are captured by a native tribe. To save themselves from the cannibals, Mickey and Pluto perform an impromptu jam session with musical instruments in their canoe.